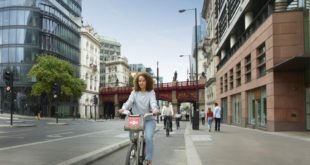 YouTube videos show that London’s new kerb-protected Cycle Superhighways are packed with cyclists, especially during morning and afternoon peaks, and now Transport for London confirms that cyclists are, indeed, flocking to the new routes. 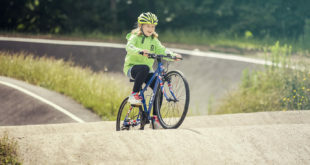 “Early cycle counts show that there has been an average 60 per cent increase in cyclists using the new routes when compared to before they were built," Leon Daniels, MD of Surface Transport at TfL, told BikeBiz. "At its busiest, cyclists make up 70 per cent of all traffic on Blackfriars Bridge on the North-South Cycle Superhighway." 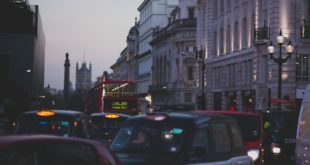 He was asked to provide such statistics because of a bus travel report by Professor David Begg which claimed that the Cycle Superhighways had led to the "reduction of road capacity in central London by 25 per cent." This claim was picked up and run with by The Guardian’s London correspondent Dave Hill and is likely to be a statistic that will be wheeled out for ever and a day by critics of the Cycle Superhighways. In fact, the 25 per cent statistic is not as robust as it was portrayed in the bus report. For a start, it’s not from a written source. "The statistic comes from Transport for London. Helen Cansick of TfL network management gave a presentation to London TravelWatch at which she was asked what the reduction traffic capacity would be as a result of roads modernisation. She told members they had modelled a reduction of network capacity in the central area of 25 percent." Professor Begg is a Greener Journeys adviser, former chair of the government’s commission for integrated transport (which no longer exists), and is an ex-member of the board of Transport for London. He is also non-executive director of bus company First Group. 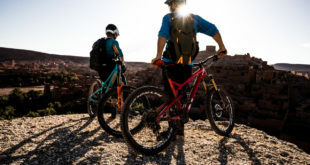 Ms Cansick said there had been interest in the 25 per cent stat and referred BikeBiz to the TfL’s press office, which gave the official line that the 25 per cent stat does not refer to London’s central business district as a whole. "We have not reduced the total capacity of Central London’s roads by 25 per cent," confirms Daniels. "On certain sections of the Cycle Superhighways, for example along Embankment, one lane out of four has been reallocated to create segregated cycle routes, but this is not typical across the network."